Electrolux launches a cool, new experience and online sweepstakes where consumers nationwide can enter to win a new refrigerator and a trip to a climate with a Perfect Temp – the Bahamas! New York, NY, July 30, 2013 – With summer temperatures well on the rise, Electrolux and Kelly Ripa will team up to help New Yorkers beat the heat with a unique, one-day experience called the “Electrolux Perfect Temp Setting,” located in the city’s iconic Columbus Circle. Visitors will have the opportunity to step out of the heat and into a life-size structure that will feel like the inside of an Electrolux French Door Refrigerator and is designed to stay the perfect temperature, no matter what the thermometer says outside. New Yorkers will be able to escape the heat by entering the structure or simply indulging in one of Ripa’s favorite summer beverages as they pass by. Attendees will enjoy a look at the Electrolux French Door Refrigerator and the innovative features it offers, including the Perfect Temp® Drawer with Luxury-Close™ that provides an array of temperature options designed to keep all summer party staples – from fresh cheeses to bottles of sparkling wine – stored at the perfect temperature. 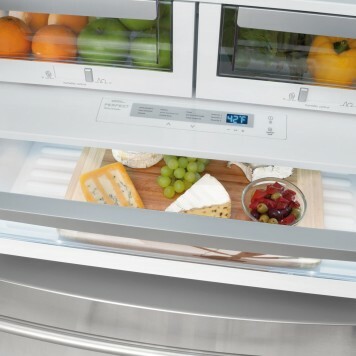 Additionally, the refrigerator boasts ingenious Luxury-Close™ Crisper Drawers with humidity-control, which keep fruits and vegetables fresher longer with self-closing drawers that provide a tighter seal designed to lock in freshness. In addition to today’s event in New York City, Electrolux is inviting Americans to visit www.livelovelux.com through August 22 to enter the Electrolux Perfect Temp Sweepstakes for the chance to win a French Door Refrigerator and a trip to a climate with the Perfect Temp (the Bahamas!). For every entry or share, Electrolux will donate $1* to Ovarian Cancer Research Fund (OCRF). Visitors to the site can also download Kelly’s favorite summertime recipes, including her famous spicy mango-peach Greek yogurt popsicle! 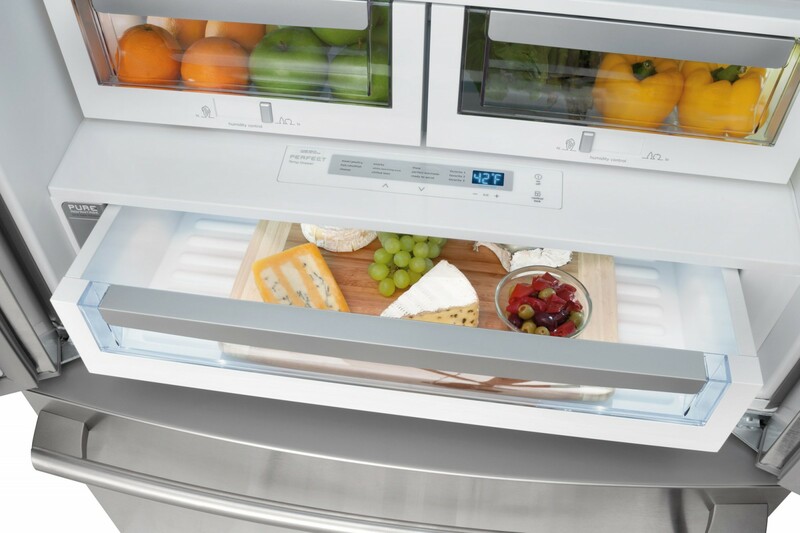 The French Door Bottom Mount refrigerator is Energy Star® qualified, available in stainless steel and retails for $2,899 to $3,899. Please visit www.electroluxappliances.com for more information on this and other premium kitchen appliances. Electrolux has a rich heritage of developing kitchen appliances in Europe, which have been used throughout fine homes and restaurants for more than 80 years. Among these products is the prestigious Molteni brand, a name chosen by the world’s greatest chefs who expect the ultimate in cooking performance. Design centers around the world are focused on understanding consumer needs and developing innovative designs that fit how consumers live. 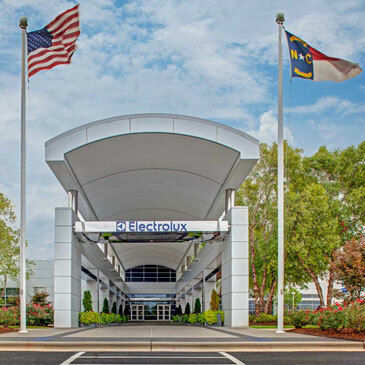 For more information visit www.electroluxappliances.com. To learn more and join us in the fight, please visit www.ocrf.org.